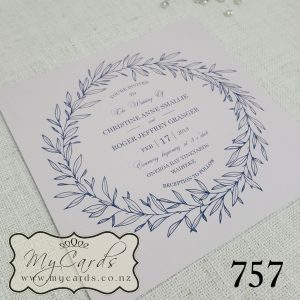 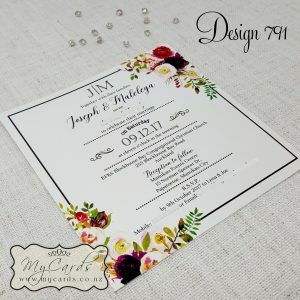 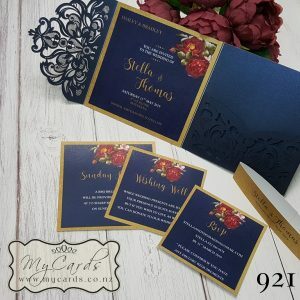 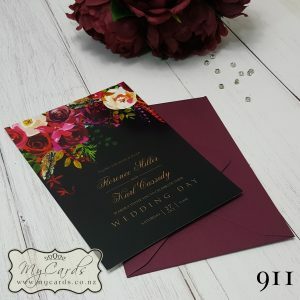 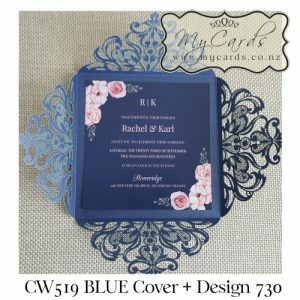 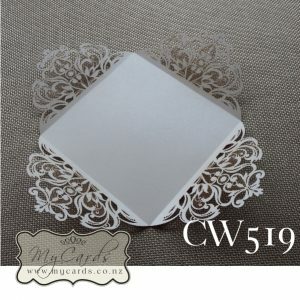 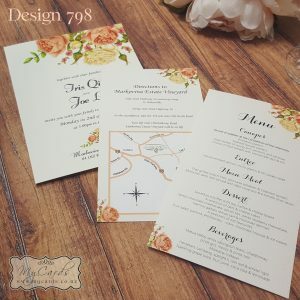 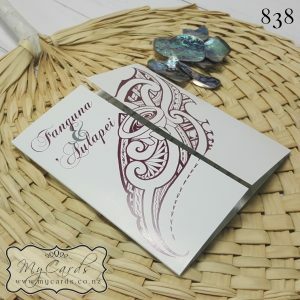 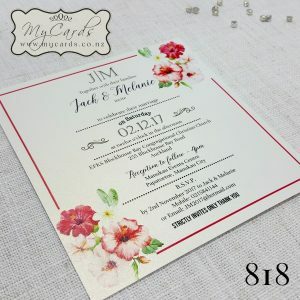 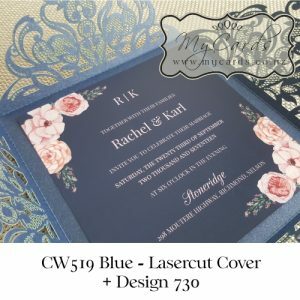 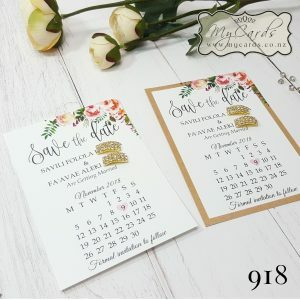 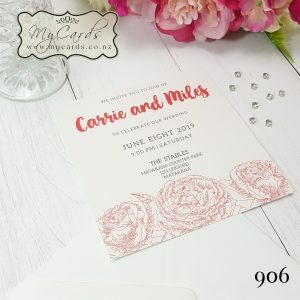 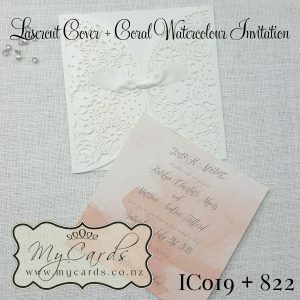 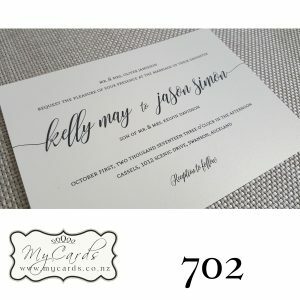 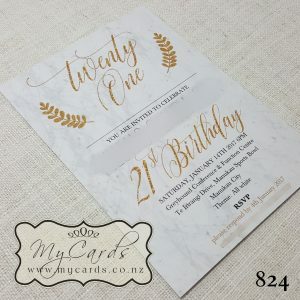 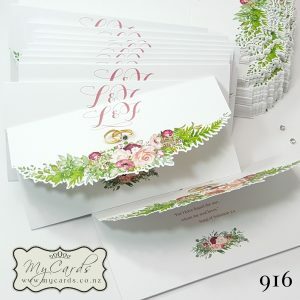 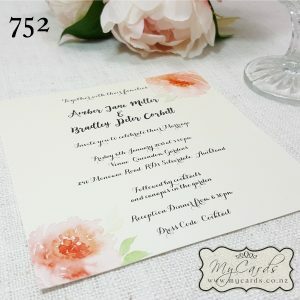 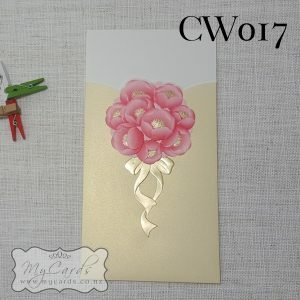 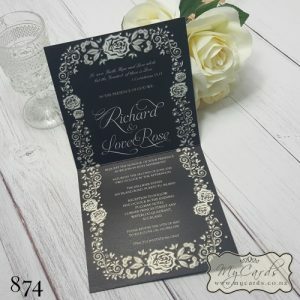 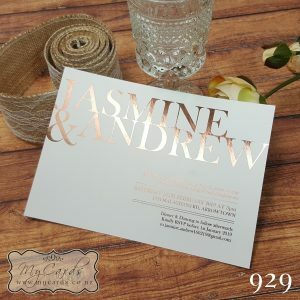 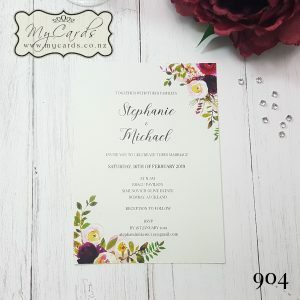 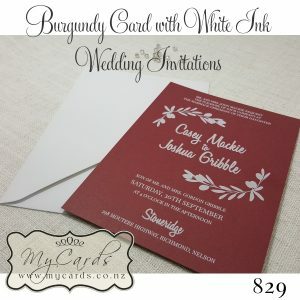 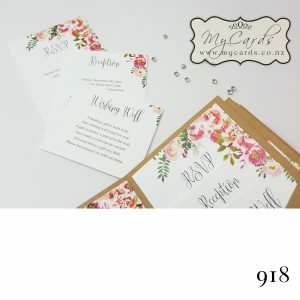 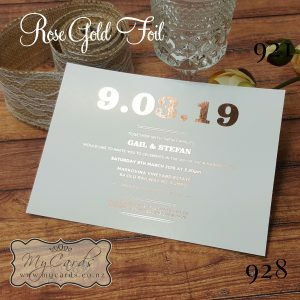 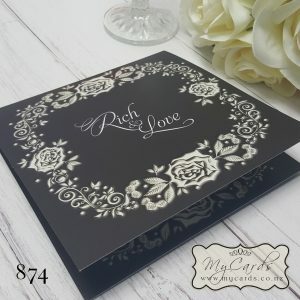 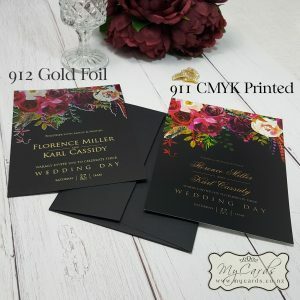 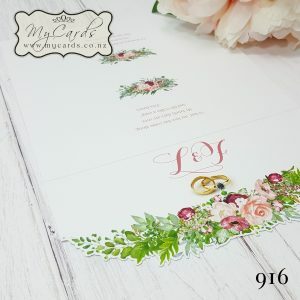 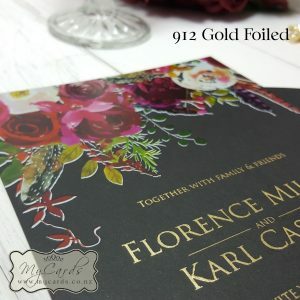 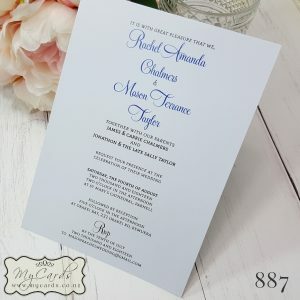 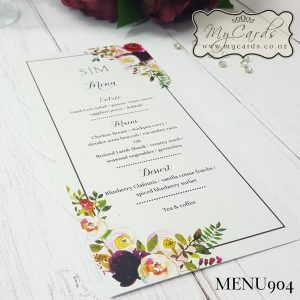 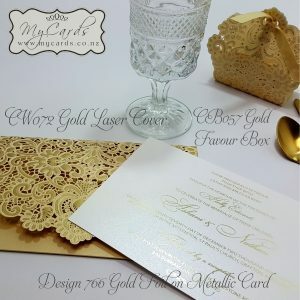 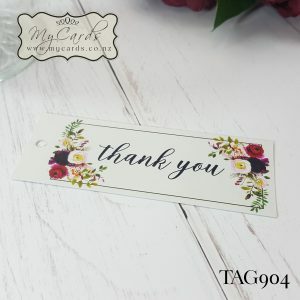 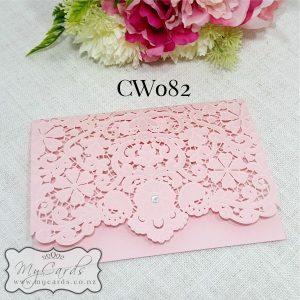 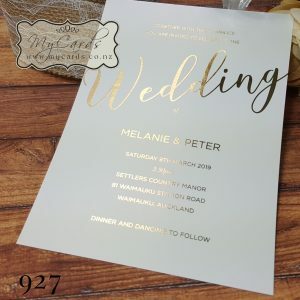 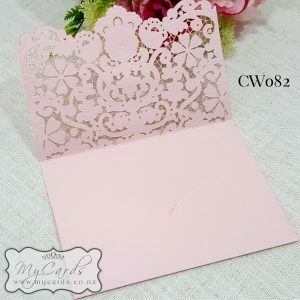 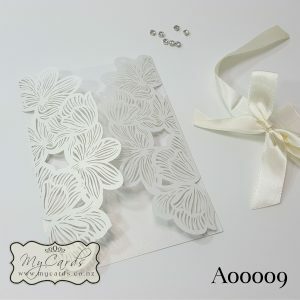 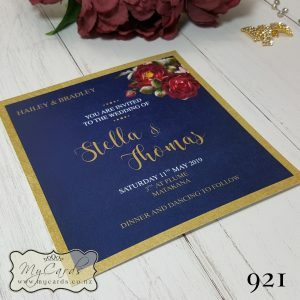 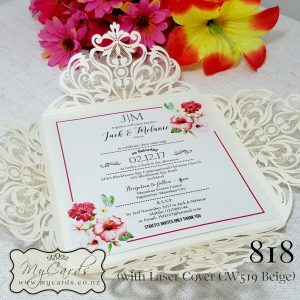 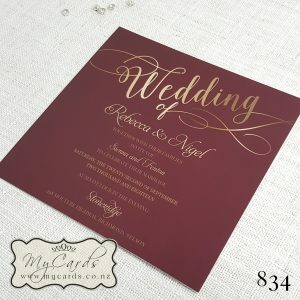 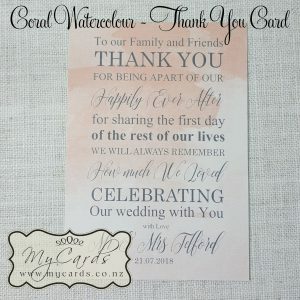 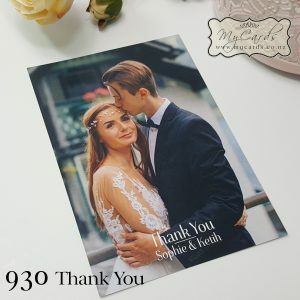 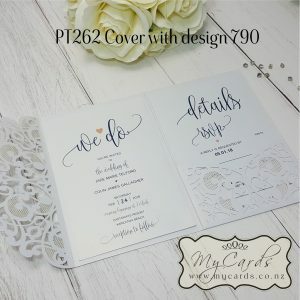 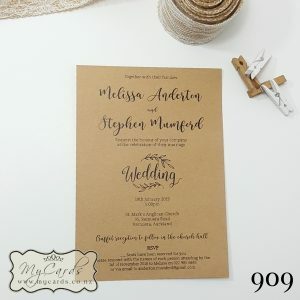 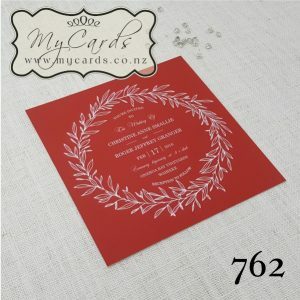 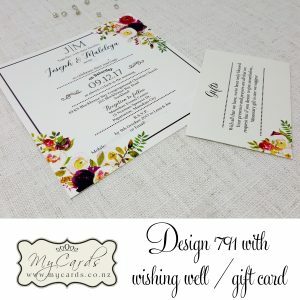 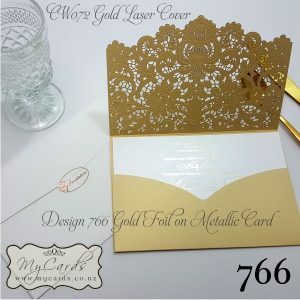 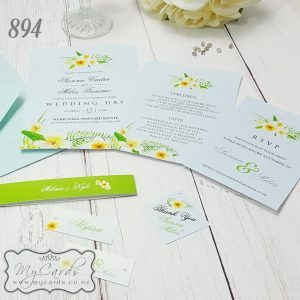 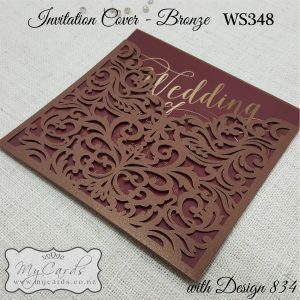 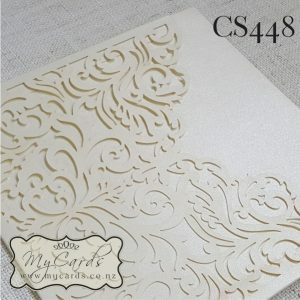 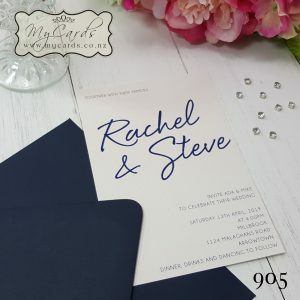 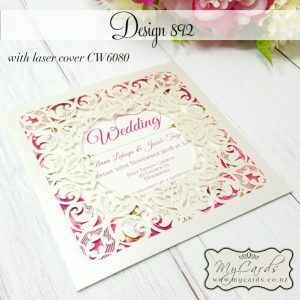 Welcome to our Wedding Gallery – we have 100’s more designs that are not up here. 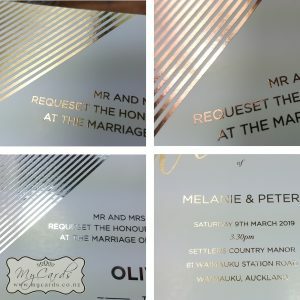 99% of the designs that you see here can be made ANY SIZE or COLOUR. 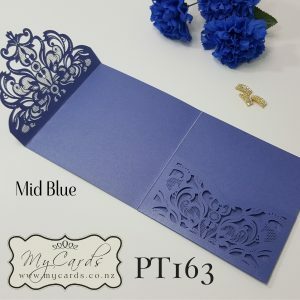 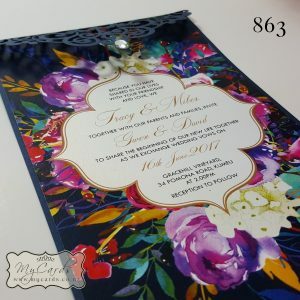 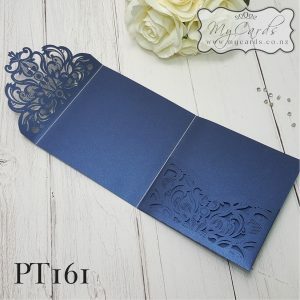 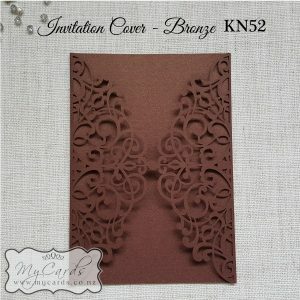 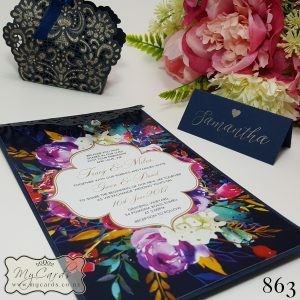 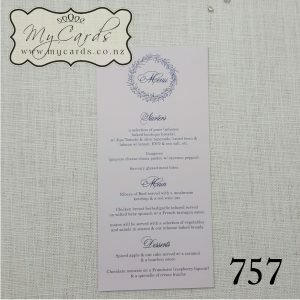 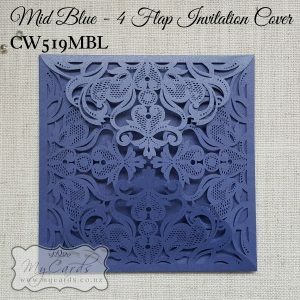 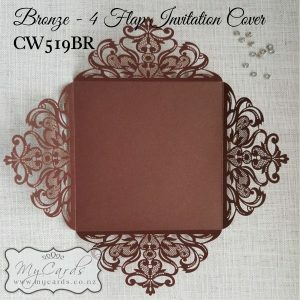 If you see a Gatefold Invitation, we can make a Flat Invitation of this design with your colour theme. 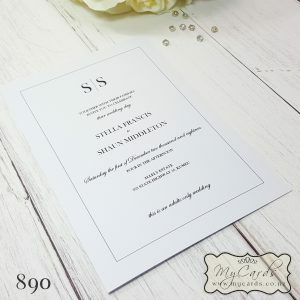 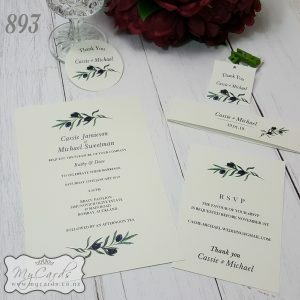 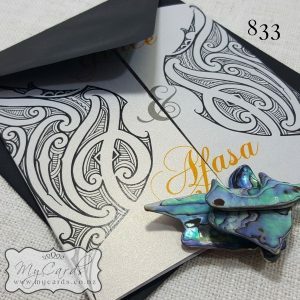 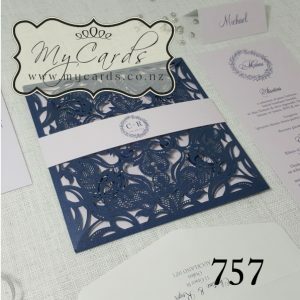 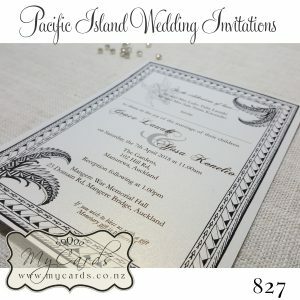 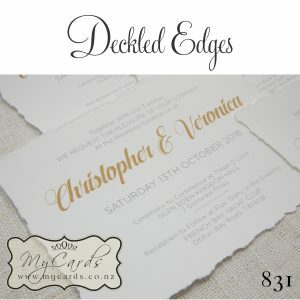 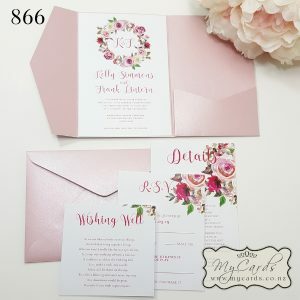 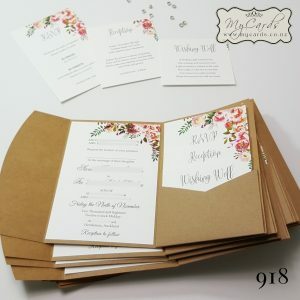 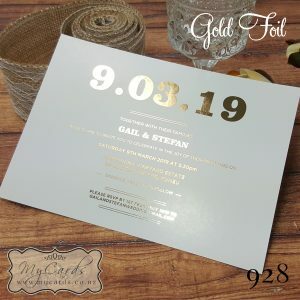 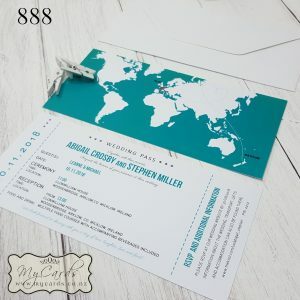 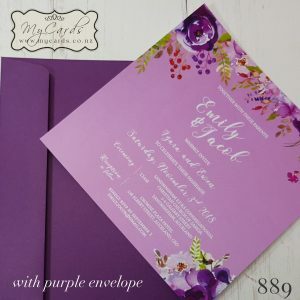 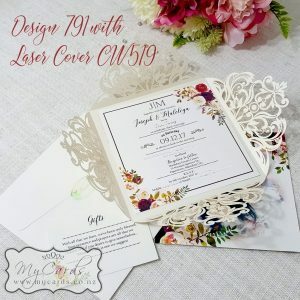 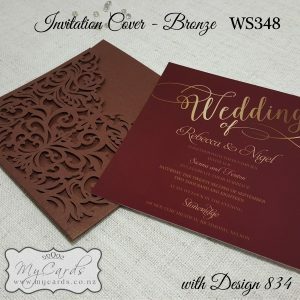 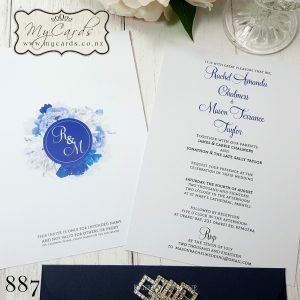 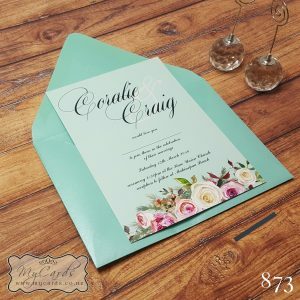 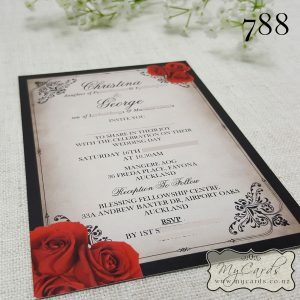 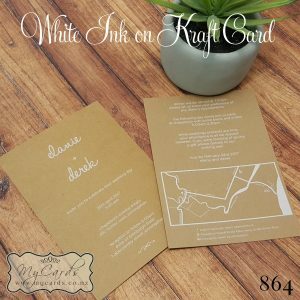 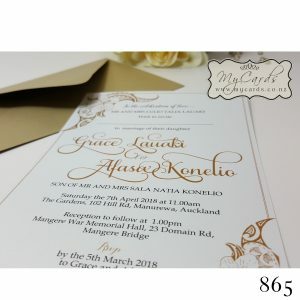 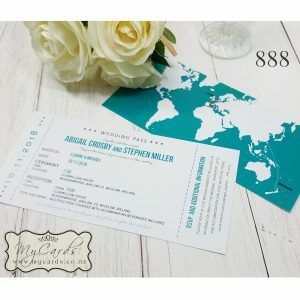 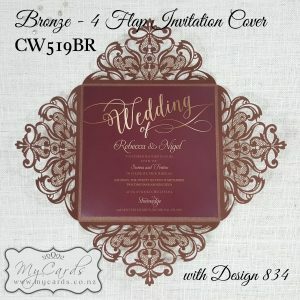 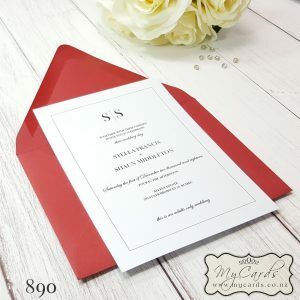 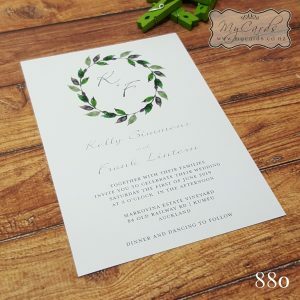 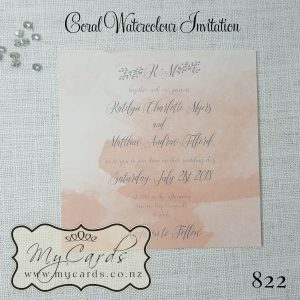 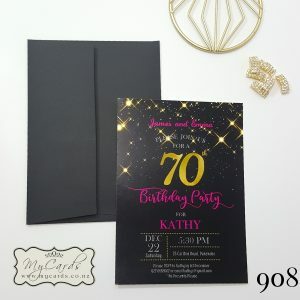 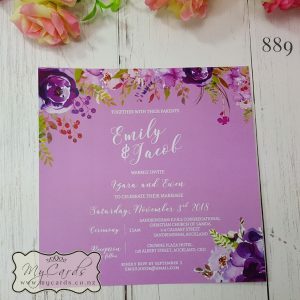 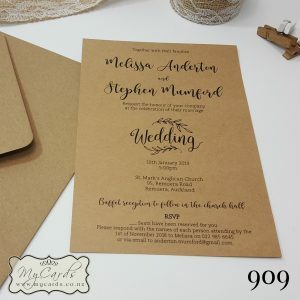 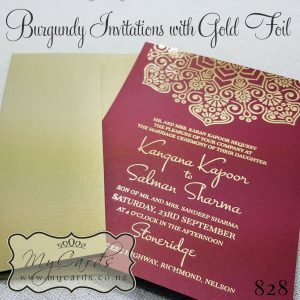 You can mix and match different invitations together, add photos, add maps, change the layout. 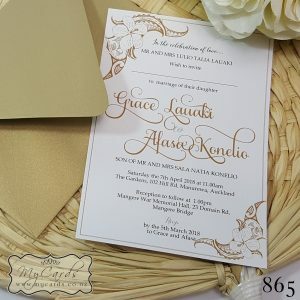 We are fully flexible in our designs. 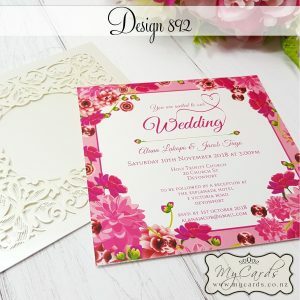 We even create custom / bespoke designs, email us through your ideas. 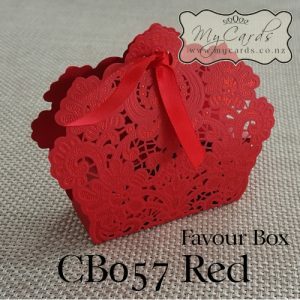 We do not do Ribbons – it is best that you go to Spotlight or an Emporium. 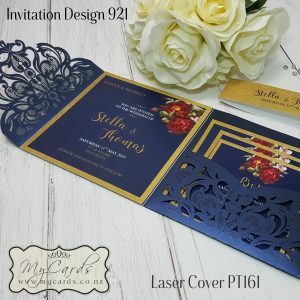 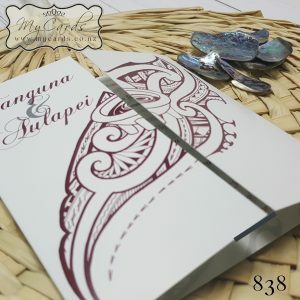 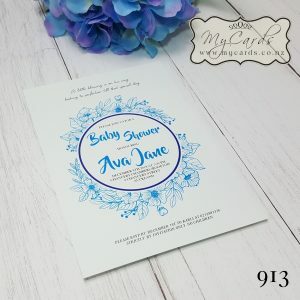 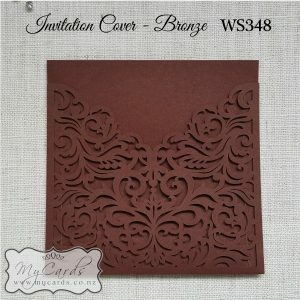 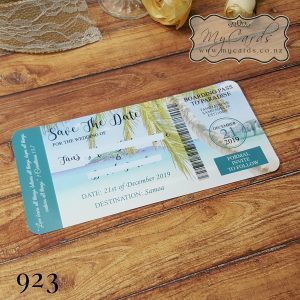 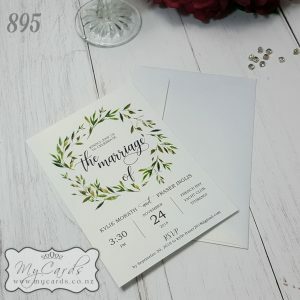 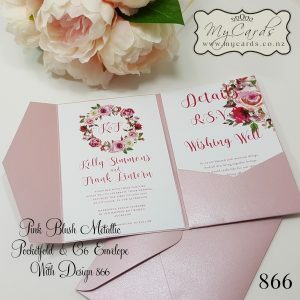 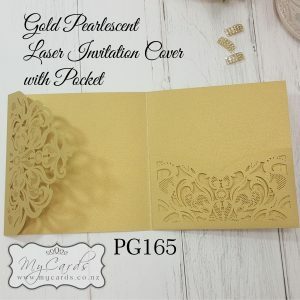 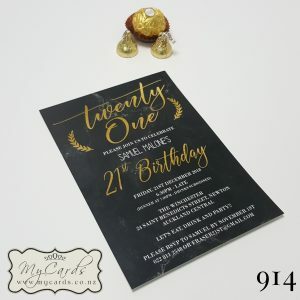 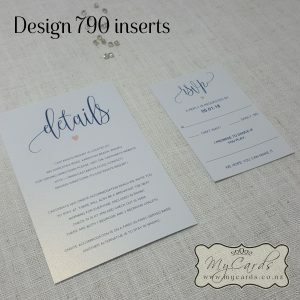 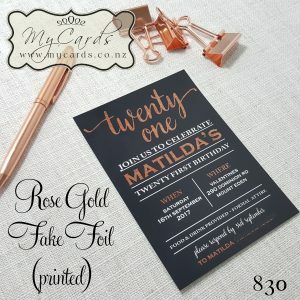 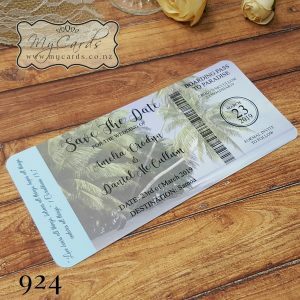 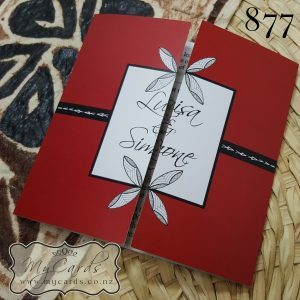 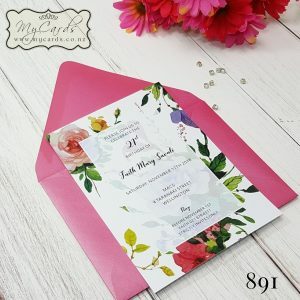 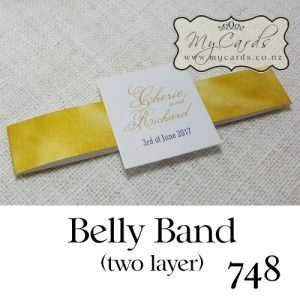 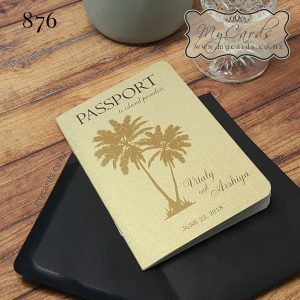 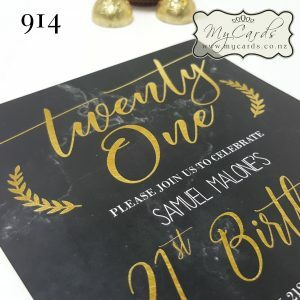 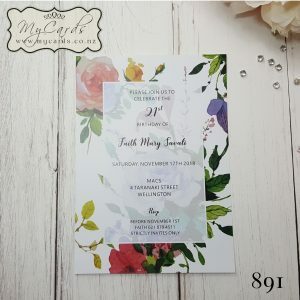 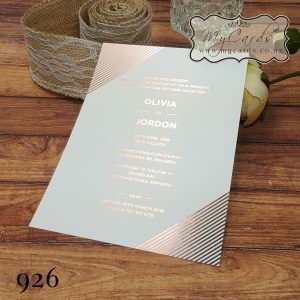 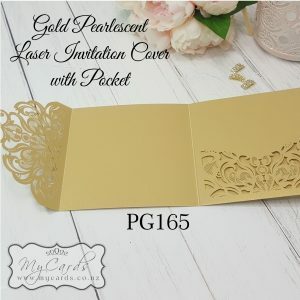 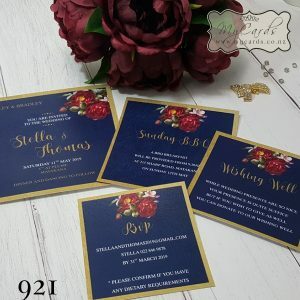 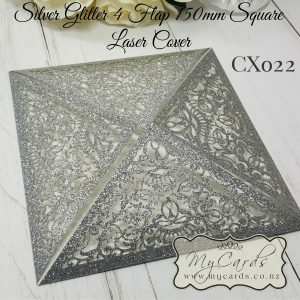 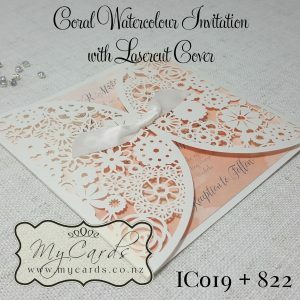 This is a way for us to keep the prices down on our invitations. 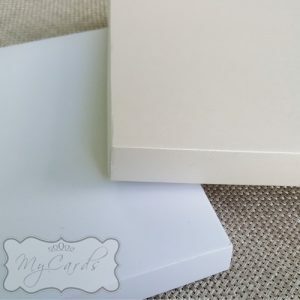 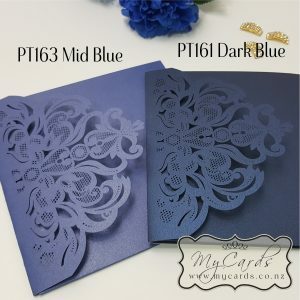 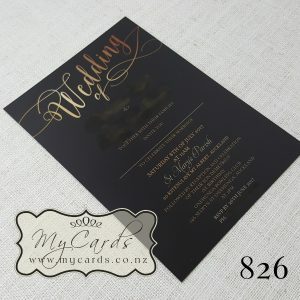 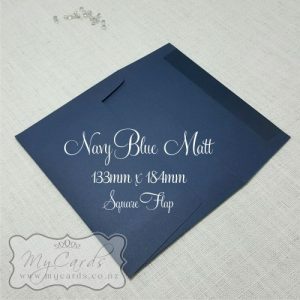 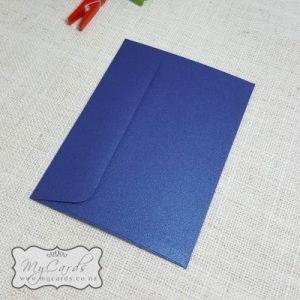 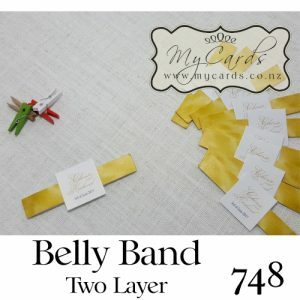 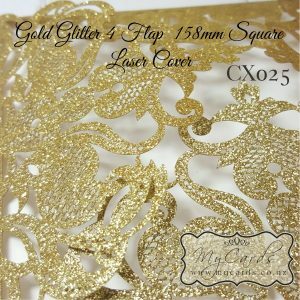 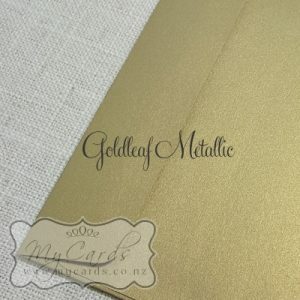 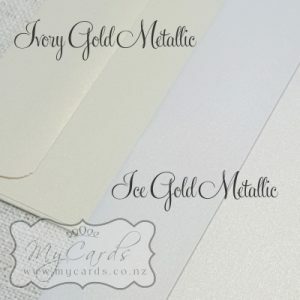 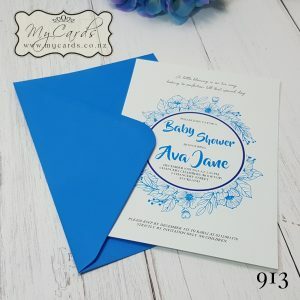 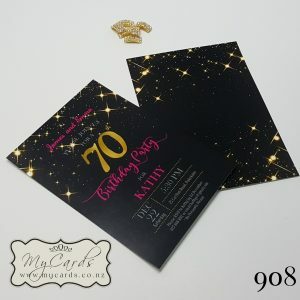 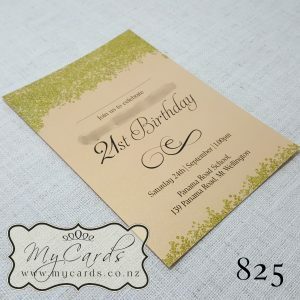 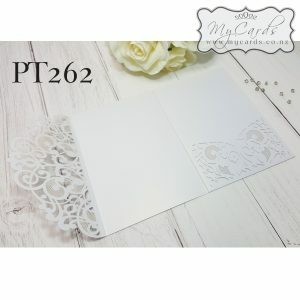 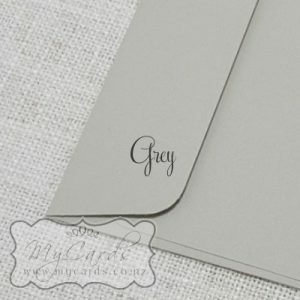 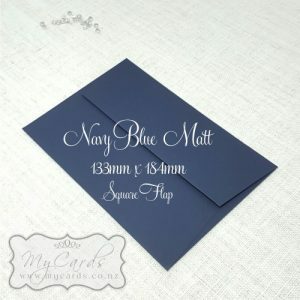 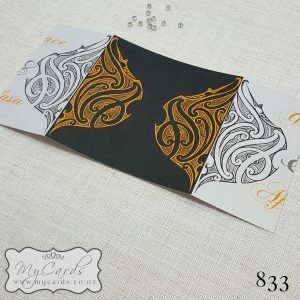 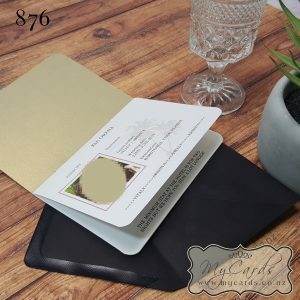 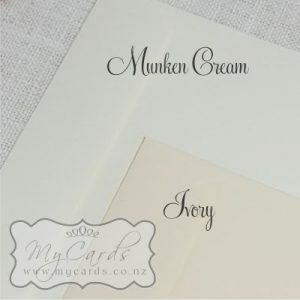 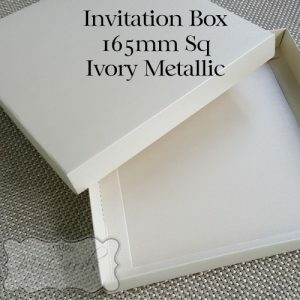 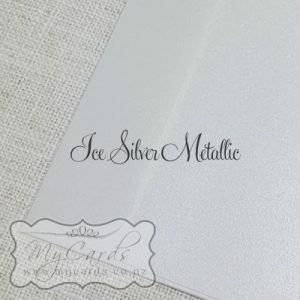 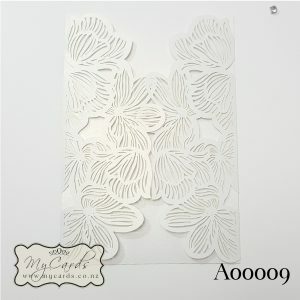 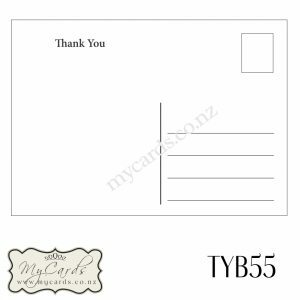 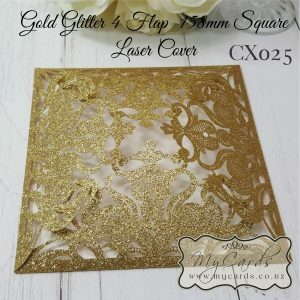 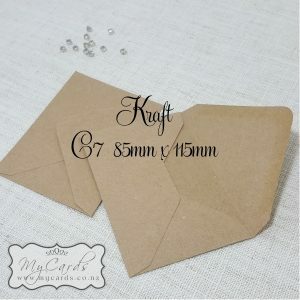 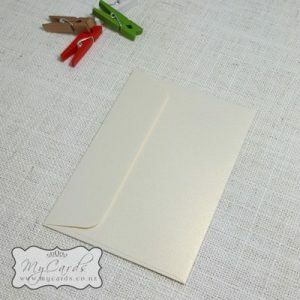 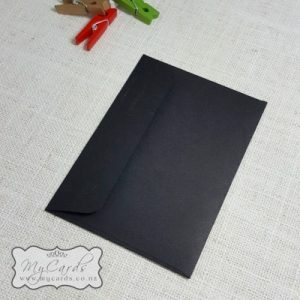 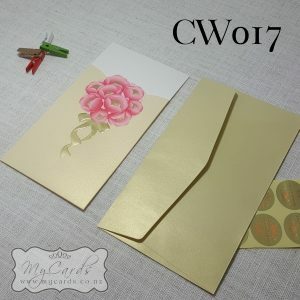 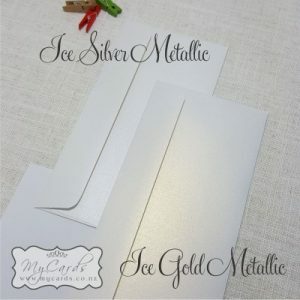 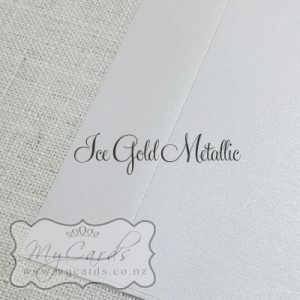 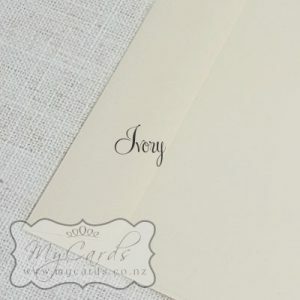 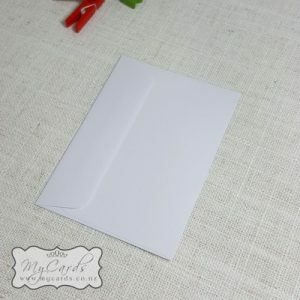 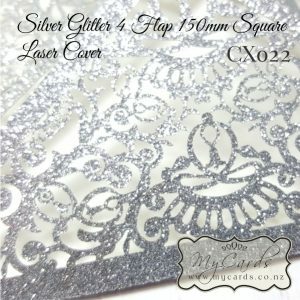 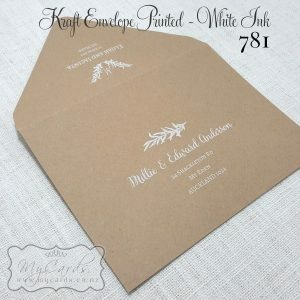 ENVELOPES – these can be printed on – Black or Colour, or White Ink on Dark Envelopes.